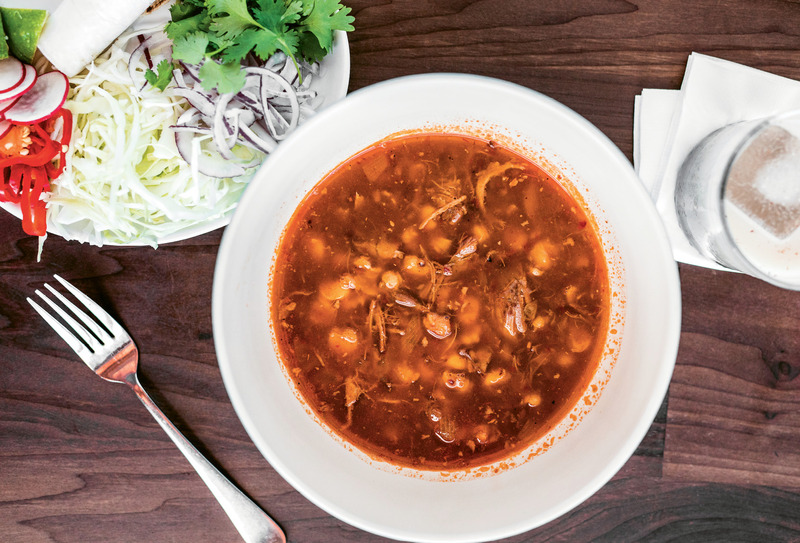 Forget what you thought you knew about Mexican food. Not that there’s anything wrong with indulging in a loaded burrito or a plate of nachos with cheese of questionable origin. Yet those who seek more nuanced, sophisticated, authentic Mexican flavors, short of an actual trip to Mexico, can rejoice. 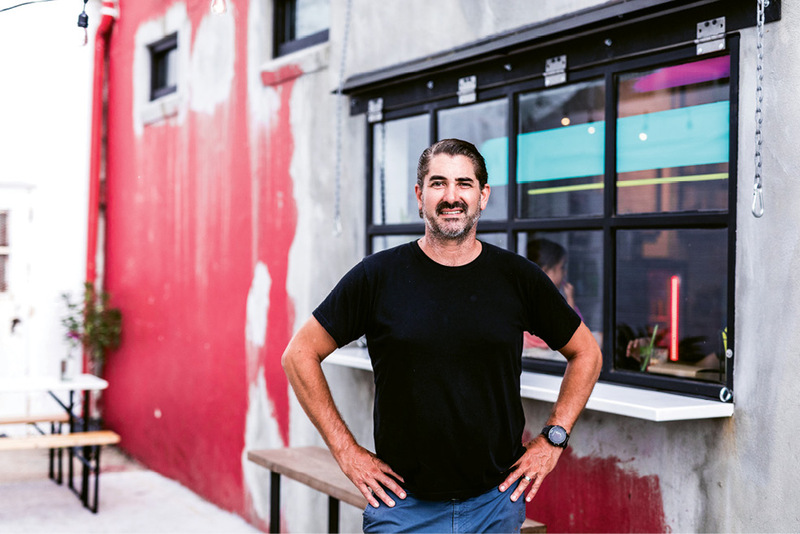 A few blocks up King Street from downtown, tucked between Leon’s Oyster Shop and Little Jack’s Tavern, is veteran chef Robert Berry’s highly anticipated cantina, Pancito & Lefty. First: the name, a wink to the song “Pancho & Lefty,” made famous by Willie Nelson and Merle Haggard in the 1980s, a poetic ballad about chasing dreams in Mexican deserts. 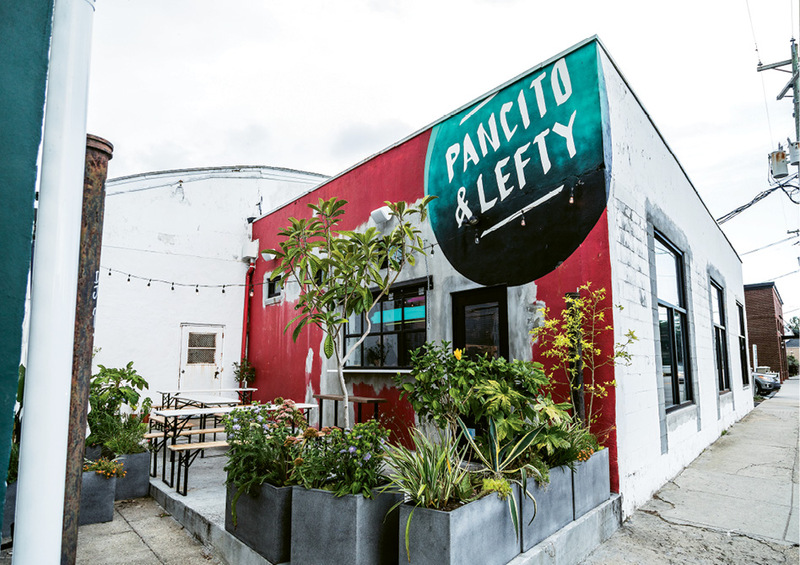 I wrongly assumed that pancito meant “little pancho,” but the word translates literally to “bread roll.” Thus by its name, Pancito & Lefty manages to conjure Mexican food, banditry, and Willie Nelson. Brilliant. Inside, it’s impossible to be in a bad mood. Sunshine from large street-fronting windows illuminates the whitewashed walls and ceilings, bouncing off vivid accents of magenta and teal. 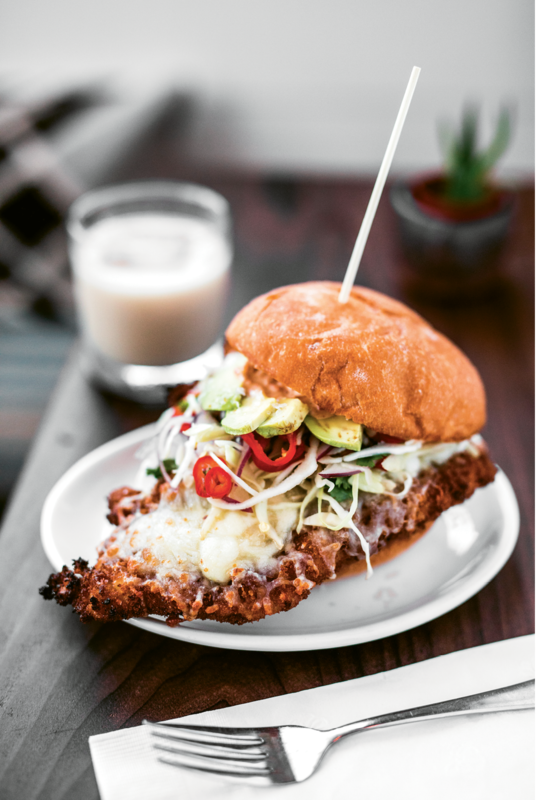 Even on a rainy-day visit, the eatery was spicy and bright, my hands happily wrapped around a hearty torta—a comforting, fried patty of breaded pork seasoned with cumin, a hint of orange juice, and flecks of oregano, sandwiched within a Normandy Farm bun (a.k.a. pancito) and brimming with creamy Oaxacan queso, buttery avocado, refried beans, red jalapeño slivers, cabbage, purple onion shards, and cilantro. Mariachi in my mouth. 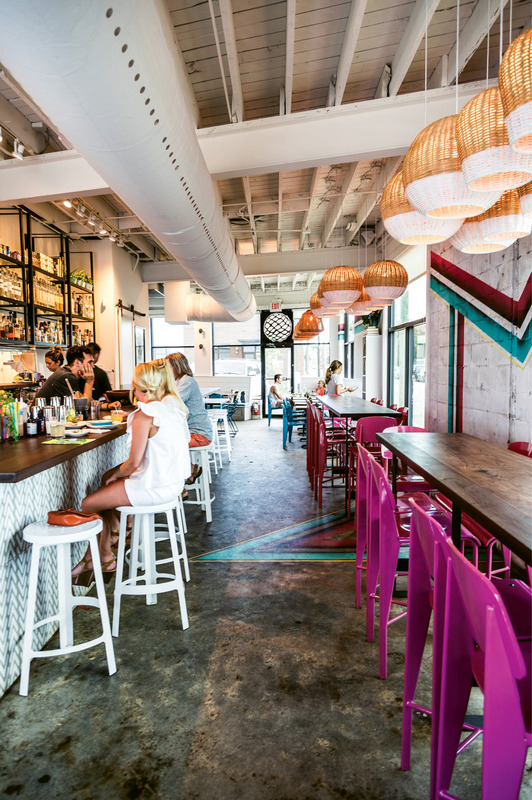 The menu is largely in Spanish. If that perplexes you, servers are happy to walk you through it. But be warned: some items might be deal-breakers for hesitant palates, like the lengue (“tongue”), chapulin (“grasshopper”), or huitalacoche (“corn fungus”). As for huitalacoche, it tastes at once earthy and exotic, with a faint sweetness. Much like truffles grow on the knobby roots of oak or hazelnut trees, this fungus thrives on organic corn. Berry purées it, then drizzles it over quesadillas crisped on the edges, zigzagged with housemade crema, and stuffed with the veggie of the moment. One visit, my quesadilla contained bites of squash blossoms and shaved fennel from local Spade & Clover Gardens. Another time, it encased Peruvian purple potato slices and golden chanterelles foraged by Berry himself, along with his chef buddy Alex Lira. Despite the menu’s “spicy!” warning, I braved the aguachile. Don’t let its delicate beauty deceive you. Beneath the architecture of sliced cucumbers, dainty dill fronds, and translucent radish sit whole local shrimp “cooked” in a potent lime-chile liquid that will take your tastebuds up a fiery roller coaster, rattle you, and then after about five exciting minutes, bring you to a gentle halt as the serrano peppers’ burst of heat subsides. At which point you say, “Let’s do that again!” Of course, this isn’t even close to what Berry experienced himself when dining in Mexico City—the kind of tongue-on-fire that all the drinks in the world couldn’t quell. Berry lets us off easy. Not all flavors are for everyone. Some will adore the traditional lime-chile-spiked tajin sprinkled on a side of charred onions, while others will find it very tart (myself included). 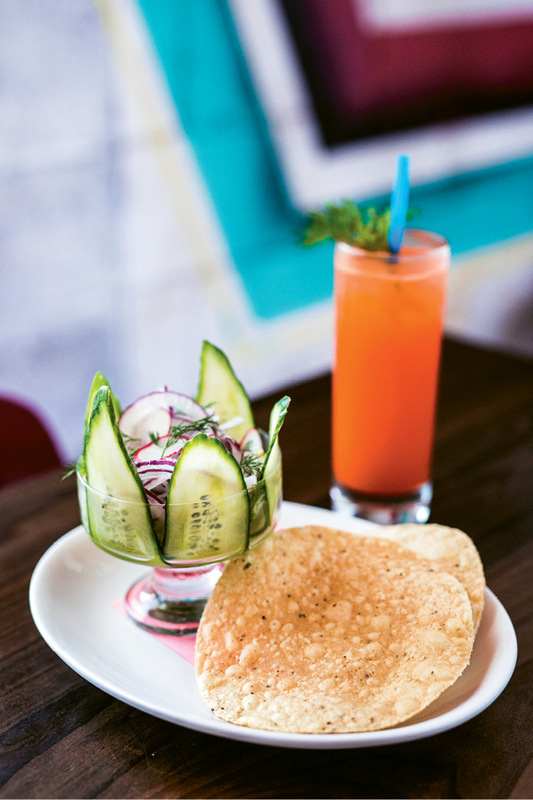 Some will relish the smoky notes of mezcal-based cocktails, while others balk at the taste. And while the rice pudding is too soupy for some, I adored its mellow creaminess, featuring coconut horchata instead of milk, a hint of orange, and chocolate shavings on top—a cool finish to a spicy meal. While the interior is lively, the outdoor patio is cute as a button, lit by festive strings of bare bulbs, with images projected on the walls. One night, a cartoon of cheeky Speedy Gonzales outrunning the law entertained us. On another visit, a Mexican wrestling match played out as I savored a shot of specialty house tequila served with charred citrus and worm salt. The projected images turned out to be from Berry’s own phone, a random shuffle of shots from exploring Mexico. It’s fun to picture the chef wandering La Merced, the vast market on the fringe of Mexico City, amidst vendors hawking sliced cactus, mole paste, stacks of tortillas, and dangling pig heads, and then rounding the corner and stumbling on this dramatic wrestling match. These and other adventures Berry experienced before returning home are projected on the walls, but perhaps more vividly, they are revealed through his food and drink. Buen apetito! The Drawback: No reservations; parking can be a challenge when the lot is full.